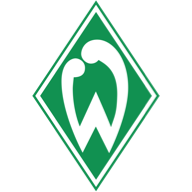 Match ends, Borussia Mönchengladbach 1, SV Werder Bremen 1. Second Half ends, Borussia Mönchengladbach 1, SV Werder Bremen 1. Corner, Borussia Mönchengladbach. Conceded by Niklas Moisander. Attempt saved. Thorgan Hazard (Borussia Mönchengladbach) right footed shot from the left side of the box is saved in the bottom left corner. Assisted by Matthias Ginter with a cross. Offside, SV Werder Bremen. Jirí Pavlenka tries a through ball, but Claudio Pizarro is caught offside. Corner, Borussia Mönchengladbach. Conceded by Jirí Pavlenka. Attempt saved. Matthias Ginter (Borussia Mönchengladbach) right footed shot from outside the box is saved in the bottom left corner. Assisted by Denis Zakaria. Attempt blocked. Davy Klaassen (SV Werder Bremen) right footed shot from outside the box is blocked. Assisted by Kevin Möhwald. Substitution, SV Werder Bremen. Kevin Möhwald replaces Milot Rashica. Attempt missed. Matthias Ginter (Borussia Mönchengladbach) header from the centre of the box is close, but misses to the left. Assisted by Thorgan Hazard with a cross following a corner. Substitution, Borussia Mönchengladbach. Lars Stindl replaces Florian Neuhaus. Corner, Borussia Mönchengladbach. Conceded by Sebastian Langkamp. Attempt saved. Milot Rashica (SV Werder Bremen) right footed shot from the right side of the box is saved in the top right corner. Assisted by Max Kruse. Goal! 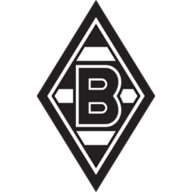 Borussia Mönchengladbach 1, SV Werder Bremen 1. Davy Klaassen (SV Werder Bremen) header from the centre of the box to the bottom left corner. Assisted by Yuya Osako. Substitution, Borussia Mönchengladbach. Jonas Hofmann replaces Raffael. Attempt missed. Florian Neuhaus (Borussia Mönchengladbach) right footed shot from the centre of the box is too high. Assisted by Fabian Johnson. Attempt missed. Florian Neuhaus (Borussia Mönchengladbach) right footed shot from the centre of the box is close, but misses to the left. Assisted by Christoph Kramer with a through ball. Niklas Moisander (SV Werder Bremen) is shown the yellow card. Attempt saved. Max Kruse (SV Werder Bremen) header from the centre of the box is saved in the top centre of the goal. Attempt saved. Milot Rashica (SV Werder Bremen) right footed shot from the left side of the box is saved in the top centre of the goal. Assisted by Maximilian Eggestein. Attempt missed. Fabian Johnson (Borussia Mönchengladbach) left footed shot from outside the box is close, but misses to the right. Assisted by Thorgan Hazard. Attempt blocked. Niklas Moisander (SV Werder Bremen) header from the centre of the box is blocked. Assisted by Milot Rashica with a cross. Corner, SV Werder Bremen. Conceded by Yann Sommer. Attempt saved. Max Kruse (SV Werder Bremen) left footed shot from outside the box is saved in the top left corner. Assisted by Davy Klaassen. Offside, Borussia Mönchengladbach. Florian Neuhaus tries a through ball, but Alassane Pléa is caught offside. Substitution, Borussia Mönchengladbach. Fabian Johnson replaces Patrick Herrmann. Attempt missed. Milot Rashica (SV Werder Bremen) right footed shot from outside the box misses to the left. Assisted by Niklas Moisander. Foul by Raffael (Borussia Mönchengladbach). Attempt missed. Maximilian Eggestein (SV Werder Bremen) right footed shot from outside the box is high and wide to the right. Assisted by Max Kruse. Delay in match Yuya Osako (SV Werder Bremen) because of an injury. Offside, Borussia Mönchengladbach. Christoph Kramer tries a through ball, but Alassane Pléa is caught offside. Substitution, SV Werder Bremen. Yuya Osako replaces Johannes Eggestein. Attempt missed. Alassane Pléa (Borussia Mönchengladbach) right footed shot from outside the box is just a bit too high. Assisted by Thorgan Hazard. Goal! Borussia Mönchengladbach 1, SV Werder Bremen 0. Florian Neuhaus (Borussia Mönchengladbach) right footed shot from the right side of the six yard box to the centre of the goal. Assisted by Nico Elvedi with a through ball. Corner, Borussia Mönchengladbach. Conceded by Davy Klaassen. Second Half begins Borussia Mönchengladbach 0, SV Werder Bremen 0. First Half ends, Borussia Mönchengladbach 0, SV Werder Bremen 0. Attempt missed. Sebastian Langkamp (SV Werder Bremen) right footed shot from the centre of the box is too high. Assisted by Nuri Sahin following a set piece situation. Attempt blocked. Johannes Eggestein (SV Werder Bremen) right footed shot from outside the box is blocked. Assisted by Milot Rashica. Attempt missed. Thorgan Hazard (Borussia Mönchengladbach) right footed shot from outside the box is close, but misses to the left. Attempt missed. Alassane Pléa (Borussia Mönchengladbach) right footed shot from the left side of the box is close, but misses to the right. Assisted by Denis Zakaria. Attempt missed. Patrick Herrmann (Borussia Mönchengladbach) right footed shot from the right side of the box is just a bit too high. Assisted by Florian Neuhaus. Patrick Herrmann (Borussia Mönchengladbach) hits the right post with a right footed shot from a difficult angle on the right. Assisted by Denis Zakaria with a cross. Attempt missed. Florian Neuhaus (Borussia Mönchengladbach) right footed shot from the centre of the box is high and wide to the right. Assisted by Alassane Pléa. Foul by Patrick Herrmann (Borussia Mönchengladbach). Attempt saved. Johannes Eggestein (SV Werder Bremen) left footed shot from the right side of the box is saved in the centre of the goal. Assisted by Max Kruse. Attempt missed. Denis Zakaria (Borussia Mönchengladbach) right footed shot from outside the box is high and wide to the right. Attempt missed. Thorgan Hazard (Borussia Mönchengladbach) left footed shot from outside the box is close, but misses to the right.